Former Arsenal and Aston Villa defender Philippe Senderos has joined Grasshoppers Zurich in Switzerland. 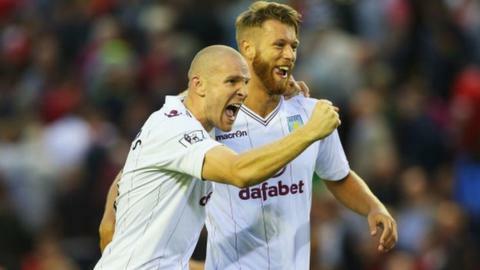 The 30-year-old was a free agent after agreeing with Aston Villa this week to terminate his contract following 18 months in the West Midlands. Senderos, who also played for Fulham and had a loan spell at Everton, has signed a six-month contract. The Switzerland international has played at three World Cups and hopes to feature at Euro 2016 in France. European gossip - Podolski to China?